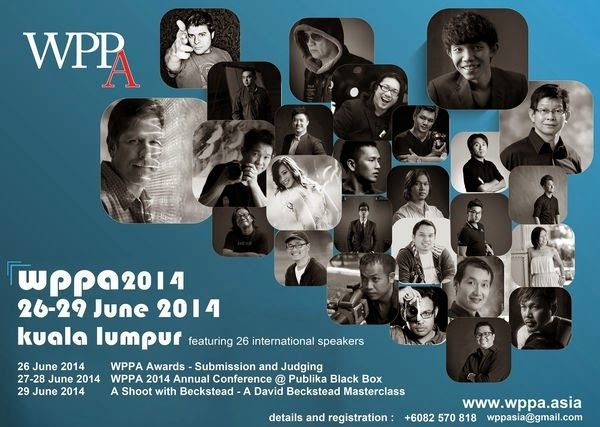 This year's inaugural conference for WPPA (Wedding & Portrait Photographers of Asia) Malaysia will feature 23 local and international photography talents. The highlight of WPPA 2014 will be David Beckstead who has been named one of the Top 10 Photographers in the World by American Photo Magazine. Joining him will be veteran photographer, and highly respected, Jen Siow who is no stranger to members of the photography industry. Also joining us for the first will be Bangladesh celebrity photographer and TV host Prito Reza. Other speakers include local and international talents such as Matthew Tan from Singapore, Malaysia's very own Fiona Lim, Saiful Nang, Grace Tan, Kevin Then, Teh Young Sun and many more.